The specifications and features of Nokia X2-01 are doing rounds on Internet. Though nothing is official, we know that Nokia X2-01 is a Nokia C3-01 look alike in many ways. Nokia X2-01 is supposedly a Nokia S40 phone with a hardware QWERTY keyboard just as Nokia C3 but differs also on some fronts. This is not a 3G handset and is 2G-only. 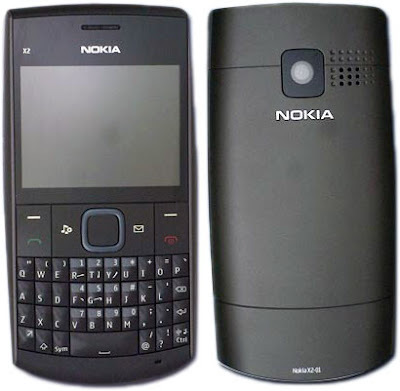 It sports a 2.4" QVGA landscape display screen (unlike the touchscreen in Nokia C3-01) and other features like microSD card slot, FM radio and Bluetooth. Nokia X2-01 is a cheap mobile phone and even its predecessor was so nothing much is expected from Nokia X2-01 as such with Wi-Fi module removed and many more features lacking in it. The wait is on for the release of official specs so as to confirm the features of X2-01. This entry level QWERTY S40 phone works as GSM phone. Its camera is superior to that of Nokia C3 and is of 3MP (instead of a 2MP snapper in C3) and yet there are no rumours that it enjoys Wi Fi capabilities also. C3 have Wi Fi but Nokia X2-01 lacked it and only enjoyed two dedicated music and messaging keys. The rumoured features of Nokia X2-01 are discussed here below. Display of Nokia X2-01 gives 320×240 pixels resolution and screen is sized at 2.4" and is QVGA TFT type. There is a QWERTY keypad in it and it physically measures 119.4×59.8×14.3 mm. 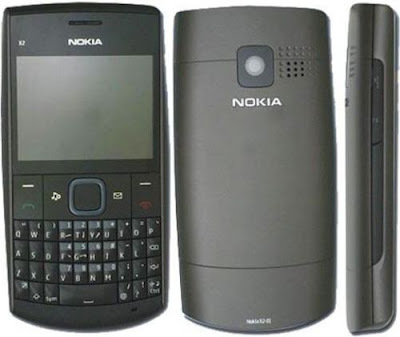 S40 based Nokia X2-01 weighs only 114g and is available in Grey, White, Red and Purple colours. It works on GSM / GPRS / EDGE networks in configuration of 850/900/1800/1900 MHz. There are built-in games in the phone and it is expected to support Java MIDP2.1 applications. For music lovers, it has a built-in FM-tuner and internal memory of 42 MB can be easily expanded via microSD slot to store data, music files etc. For connectivity purpose, the handset has USB and Bluetooth. We hoped that this was Nokia X2 successor but that phone is much superior with 5MP camera and cool music playback features. The price details of Nokia X2-01 handset is not known but it seems that Nokia wish to bring more and more QWERTY phones for the masses making such phones accessible for budget buyers.